We had a lot of fun going through all the many strings available for bass guitars in order to carefully select the best. 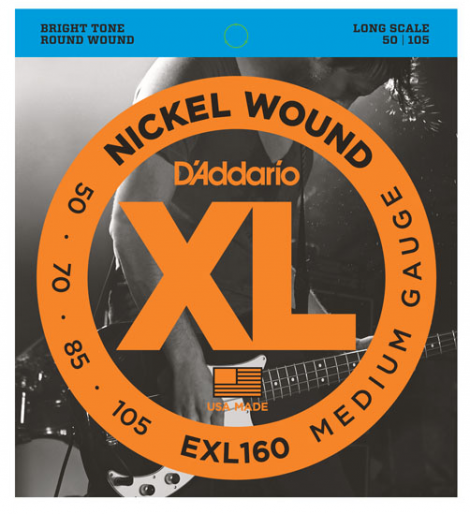 After narrowing down to six fine choices, we were able to name the D’Addario EXL 160 Nickel Wound as our number one choice. This was no easy choice as there were so many great choices to choose from. We were very impressed with this set of strings, but you’ll have to read on to find out all the details and what they were up against. Digitally wound and extra heavy gauge for a very clear, bright tone. With length of up to 36 1/4 inches, fit well on long scale basses. As fun as it was going through all the different strings on the market for bass guitars, it was very time-consuming. We spent many hours sifting through all the string selections we could find and then narrowing down our choices after scrutinizing every detail. We take the time to go over each and every product carefully to ensure it’s truly the best before recommending it to our readers. 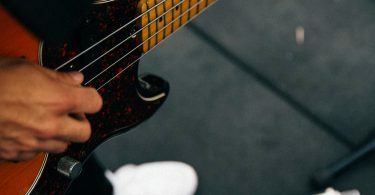 When you’re in the market for a new set of strings for your bass guitar, there are many things you need to consider to ensure you find the best strings that meet all of your needs. The number of strings is the first thing you want to keep in mind. You would hate to get home and find you bought a pack of strings that doesn’t include what you need for your bass. If you know your guitar pretty well this shouldn’t be a problem to know off the top of your head. However, if it’s a new guitar for you then this is something you will want to check before starting your search for strings. Another factor about your guitar you will want to be familiar with is the scale length of your bass. Each pack of strings you look at will tell you the maximum scale length the strings are for. 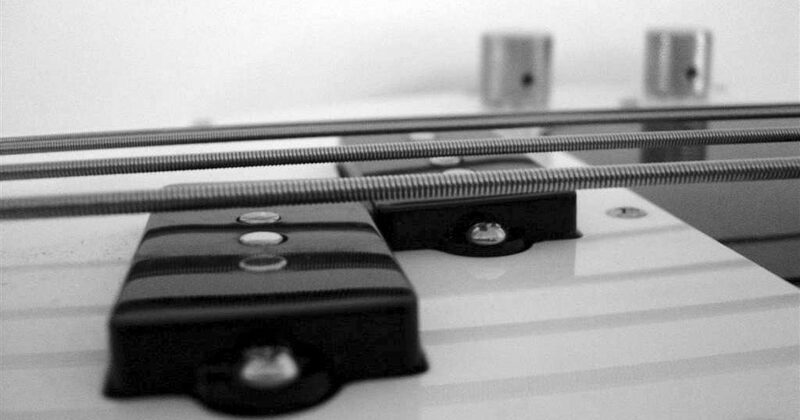 Knowing your scale length will ensure your strings fit your bass guitar. The type of music you play also plays a role in what type of strings would be the best fit for your bass guitar. So, this is something else to keep in mind as you’re shopping around for strings. 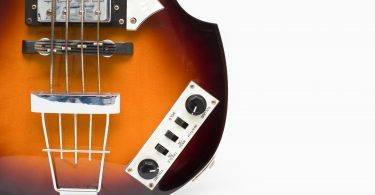 If you’re a well-rounded bassist, there are strings that are a good fit for that, but if you play a specific genre of music more often than not then it would be wise to find strings that are made with your music genre in mind. You will also want to think about how much you play, or if you’re a beginner, how much you plan to play. Lastly, you should have an idea in mind of the tone you’d like to achieve with your new set of strings. As you keep all of these things in mind you should be able to select the right set of strings for you. Having all of these things in mind will define the features your new bass guitar strings should possess. This includes the string length and gauge, string construction materials, type of string winding, and type of string coating if there is any. It is wise to purchase strings that are already cut to size for your scale length. You don’t want to cut strings that are too long down to the size of your guitar because you risk the wrap separating from the core wire. This isn’t something you can prevent when performing an in-home cut. However, strings are typically sold in four different lengths: short, medium, long, and super long. Short is usually up to 32″, medium is usually 32″-34″, long is usually 34″-36″, and super long is usually 36″-38″. The gauge of your guitar string references the diameter of the string. The heavier the gauge, the lower the tone. There are many gauges available ranging from extra light to extra heavy to accommodate the needs of any guitarist. This is why knowing they type of tone you would like to achieve is so important. Stainless steel and nickel are most commonly used in the manufacturing of guitar strings. They are usually made with an outer wrap around a steel core wire. However, there are many different string winding methods used including roundwound, flatwound, groundwound, tapewound, and taperwound. Roundwound is the most common and are most common among rock and funk bass musicians. Flatwound is usually more expensive but makes for more comfortable playing. Groundwound is most popular with jazz and old-school bassists. Groundwound reduces finger noise while offering a mostly bright sound. Tapewound is the least common but offers the softest touch with a dark, soft tone. Taperwound is available for all the other types of winding where they taper gradually so the core wire connects with the bridge saddles in order to enhance sustain. 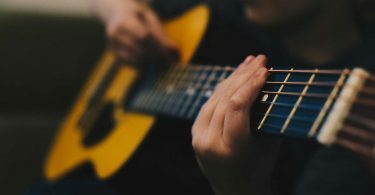 While stainless steel and nickel are usually the materials used in guitar strings, it is a little more complex than that. There are a handful of options available. The guitar string materials are not just the materials used, but also any coatings if there are any. 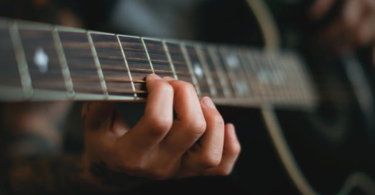 The typically available materials include nickel-plated steel, pure nickel, stainless steel, copper-plated steel, polymer coated strings, and color-coated strings. It may seem like there’s a lot that goes into choosing the ring strings for your bass, but ensuring you choose the right strings for you is the most important when it comes to your music. 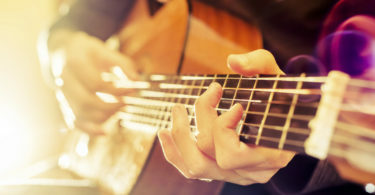 Knowing your guitar, music, and sound needs will help you in carefully selecting the right strings for you. After carefully evaluating all six of our top choices, we’ve been able to select the D’Addario EXL 160 Nickel Wound Bass Guitar Strings as our top choice. These are extra heavy gauge strings that offer a very clear, bright-toned sound. We were very impressed with the intonation of these strings, which comes from these strings being digitally wound. We found these versatile for all playing styles, which makes them a convenient choice for beginners and bassists on a budget. The scale length of these strings 3 is 6 1/4 inches making them possible to be used on most guitars. assists who tend to play long gigs won’t feel like their fingers are about to fall off with how comfortable these strings are to play. They retained their tunings well making picking up to play a much easier process most of the time. We were impressed with the sound produced from these strings and how long-lasting they are. These are not strings you will have to worry about replacing quickly even as a daily player. 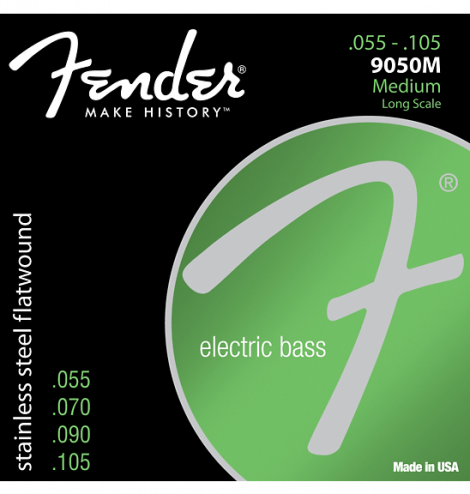 If you’re looking for a deeper sound for your bass, these strings may not be the bass for you. The sound is not the traditional, deep sounding bass you might be expecting. We were happy with the price of these strings at under $15. While we were very impressed by the D’Addario strings who won our top vote, we did have a close runner up. 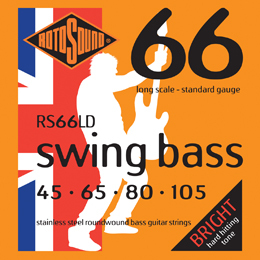 In second place we really liked the Rotosound RS66LF Swing Bass 66 Stainless Steel Bass Guitar Strings. 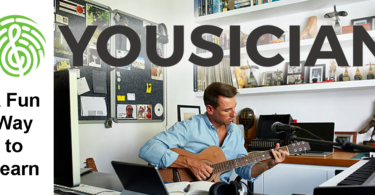 You won’t be drowned out ever again with these strings. The tone is very aggressive, articulate, and bright. The combination of midrange and high harmonics make the tone seem metallic and very piano-like. While these are bright, hard-hitting strings, they can also bend towards being versatile as well. If you turn down your tone a bit, these strings can then offer a smoother, more subdued sound. These strings may not be the right fit for a beginner as they are best used by a more precise player. However, a beginner would learn how to play with accuracy on these strings. The main two reasons why we didn’t select these strings as our first pick is they do take a little work to achieve their versatility and they’re a little pricier at just under $20. These bass strings were created with the jazz, country, r&b, and reggae bassist in mind. The deep tone makes them the perfect fit for the music styles they’re made for. The tone is also very even making it so only one bass is needed with these strings. The strings are very good quality with the nickel used as they do not tarnish or turn to grey, and have a smooth feel. The slides have no annoying buzz to them. These strings can build the confidence of any bassist looking for a full, deep sound. These strings are very high-quality and that’s reflected in the cost. They’re still affordable, but for a little over $20. Thankfully these strings are also long-lasting making your investment worth it. We will say is that there is a fitting issue. These were tried on a short scale Fender bass as they are short scale strings, but the nylon wraps were too long and sat in the nut slots. We were very impressed with how versatile these strings are. We found they could play anything from metal to pop to country to jazz and everything in between. These strings were long-lasting. Only after seven months of use did they begin to dull, which made the investment worthwhile in our opinion. They are a little pricey at just under $30, but from a well-trusted brand we aren’t surprised by the cost. We did notice with these strings is the tension is a little high and produces an awful clacking noise when fretting and release for the first fret. As always, we loved the crisp tone, clarity, and volume of these DR handmade strings. There was no fret clatter and were very easy on the fingers for those who do not play using a pick. 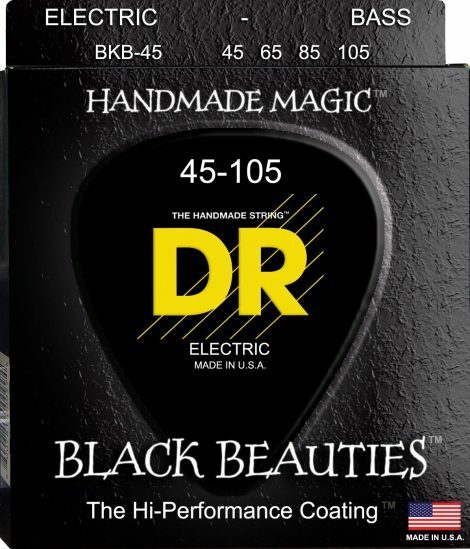 We wouldn’t recommend playing on these strings with a pick as the black coating can flake off, though we liked the look. Black strings make any bass look even more sleek. The sound is booming adding a little more pop to your music. The coating does not completely fill the string wrap, which will leave you with a whisper on slides. Otherwise, we were pretty satisfied with these strings. They can be purchased for around $20. 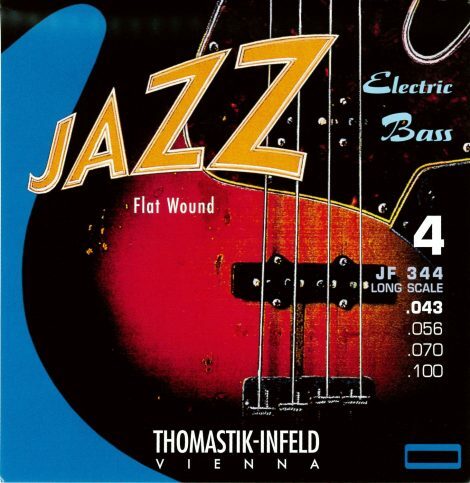 The flat wound long scale strings are the perfect strings for the jazz bassist. They aren’t slippery, but silky smooth for a nice feel. The tension is also nice and light. The sound produced by these strings is just beautiful. We found the tone to be even and warm. While we do think these are the perfect match for jazz bass guitar musicians, we will say that we also found them to be good for old school soul, rock, zydeco, traditional honky tonk, and everything in between. These strings are semi-versatile. We were actually quite surprised by that. 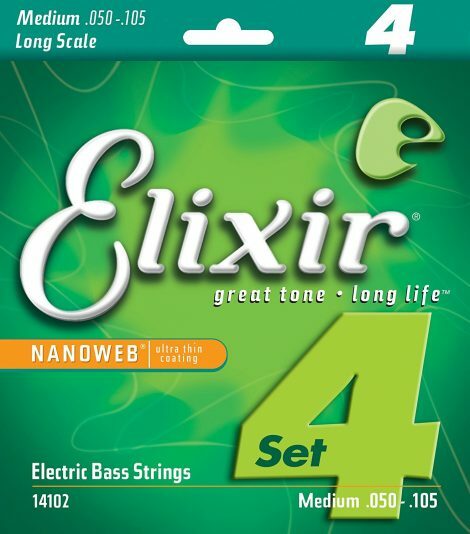 These strings are on the expensive side at just over $50. There is a little lack in the upper treble, which can be frustrating. Outside of that, we found these strings to be a very solid choice.